The Opel Olympia Rekord was a ponton fender styled family sedan build in Rüsselsheim by GM's German subsidiary Opel. The little car confused the West German public because it was given annual cosmetic update (similar to a 50s Chevy) while domestic competition (Volkswagen, etc) ran the same model for several years. Regardless, over a half a million Olympias were built from 1953 to 1957 and you can occasionally find one of this side of the Atlantic. Find this 1955 Opel Olympia Rekord CarAVan wagon offered here on eBay currently bidding for $5,300 reserve-not-met with 4 days to go, located in Rehoboth Beach, DE. Most people drive around with more car than they need. After years of driving, this excess becomes less and less jarring, until you find yourself in a two-ton AWD fortress with dual-pane glass and enough alphanumeric safety aids to stump whole legions of claims attorneys. Here to purge you of your coddling is a race-tight Fairlady. Non-masochists need not apply. Find this 1967 Datsun 1600/SPL311/Fairlady road-legal racer for sale in Brunswick, OH for $5,000 via craigslist. The 1982 Cimbria has a far out design that is permissible to compromise ones principles. Thankfully, its Amore Cars built body has a look that is kinda mythical, and anything but typical. It is a craze you'd endorse, a powerful force, and you'd be obliged to conform when there's no other course. It used to look good to me, but now you can find this 1982 Cimbria SS bidding for $7,200 reserve-not-met here on eBay , located in Morrill, NE. In the world of vehicles equipped with hidden headlamps (and that is indeed a strange and magnificent world) few match the sheer brazen magnificence of the Subaru GL's cyclops middle headlight. The Leone may not have been a lion on the street, but that wacky third headlight hidden under the Seven Sisters makes it king of the urban jungle. Find this 1982 Subaru GL Wagon offered here on eBay for $5,300 buy-it-now located in Staten Island, NY from Roverclassic. The Saab Sonett is an affordable oddball that, on the list of misspelled car names, ranks second only to Camero in frequency. It could be that sellers have taken to listing both spellings in a hope to catch people searching for the wrong spelling, but that seems like a weak excuse when the name is spelled out in big bold letters on the dash board. Besides, the Sonett does not get its name from the poetic verse, but from the Swedish phrase Så nätt den är which translates roughly to "how neat it is." Find this 1974 Saab Sonett offered for $5,900 CAD ($4673 USD) in Barrie, ON, Canada via autotrader.ca. Tip from John U. Welcome to another edition of DT's cure for the Monday morning blues -- What Am I? We find a random picture of a car and you get to guess what it is. Last week's Subaru XT steering wheel (which I thought was going to be difficult) was instantly recognized by Adam Fay, so...I need to dig deeper...or just crop more. When Pontiac were developing their first generation Tempest, they needed a small displacement, frugal engine for the mass market, but didn't have the budget for a full scale development effort. So they took the 389 V8 and hacked one bank of 4-cylinders off, and created one of the strangest looking 4-cylinder engines in existence, the Trophy 4. 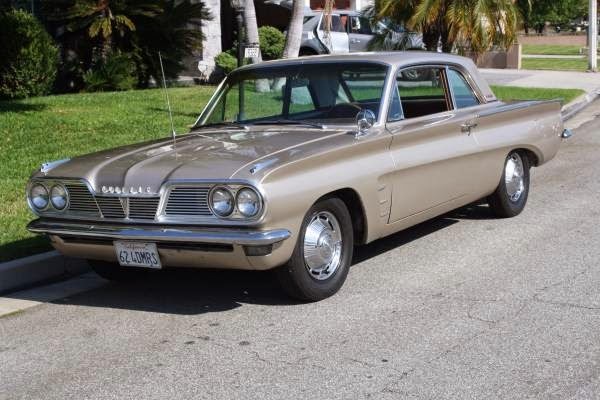 Find this 1962 Pontiac Tempest offered for $5,500 in Artesia, CA via craigslist. Tip from FuelTruck. 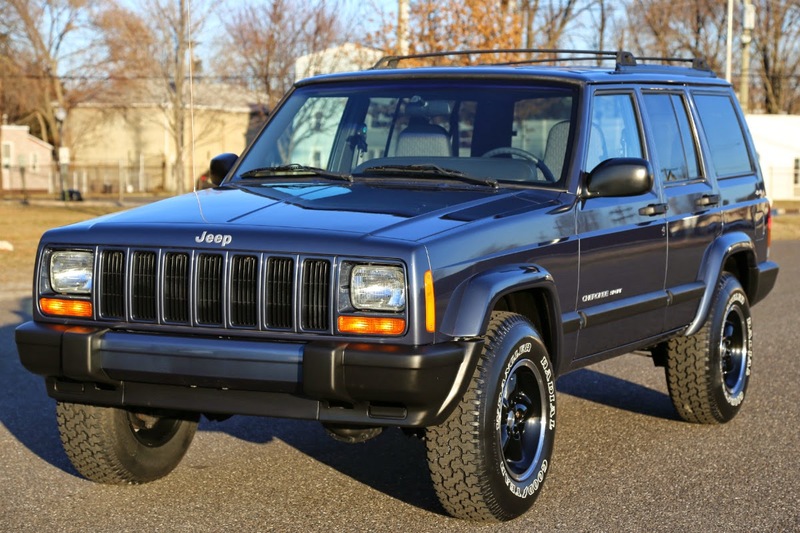 The XJ generation Jeep Cherokee defined a new standard in compact sport utility vehicles. It was a capable off roader that eschewed body-on-frame roughness for a unibody chassis that gave it relatively good fuel economy and good road manners. Naturally, every weekend warrior, little league dad, and soccer mom wanted one and even the US postal service got a version with right-hand drive for delivery routes. Find this 2001 Jeep Cherokee Sport here on eBay currently bidding for $9,301 with 4 days to go, located in Woodbury, NJ. The E60 BMW 5 series was the pinnacle of the controversial Bangle styling - but will it stand out from all of the other beige mid 2000s cars years from now? Until it becomes a collectible you will need to live with the funky styling, but the combination of performance, comfort, and status is hard to match at this price. 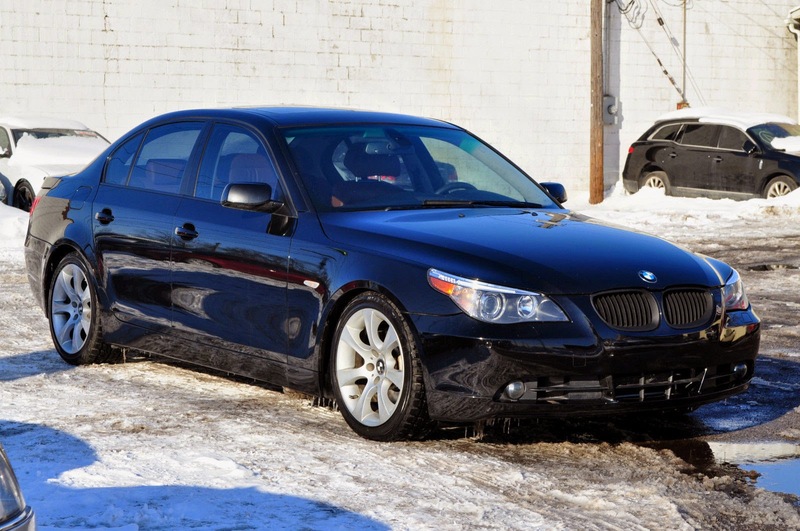 Find this 2007 BMW 550i offered here on eBay for $14,800 buy-it-now or make-offer, located in Cleveland, OH. You've heard the expression that it is better to drive a slow car fast, than a fast car slowly -- which is mostly true. But the corollary expression when purchasing a car is that it is better to have a nice example of a cheap car, than a cheap example of a nice car. This next car was the subject of a ground up restoration, but now it is being spit out after only 5,000 miles since the resto. 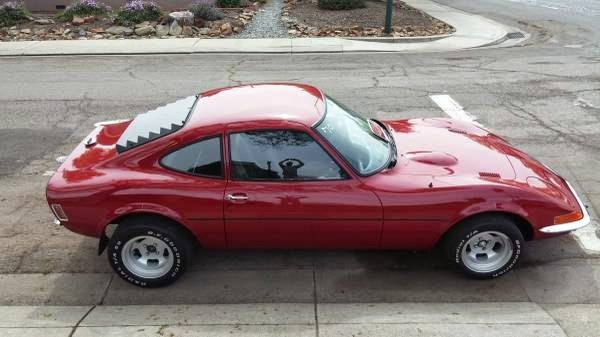 Find this 1970 Opel GT offered for $9,800 in San Francisco, CA via craigslist. Tip from Kaibeezy. The Pontiac Fiero is a punching bag in the automotive community. It gets hammer with mullet jokes and constantly second guessed with what it could have been comments by armchair engineers. In truth it really deserves some of that abuse...but this? 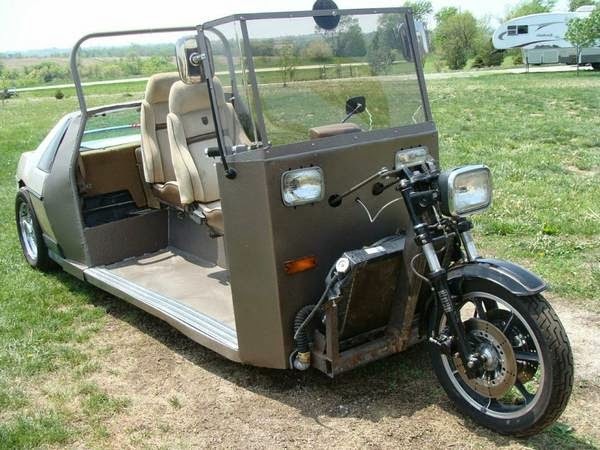 It doesn't really deserve to be turned into this homemade trike on a Pontiac Fiero chassis offered for $2,000 located near Lincoln, NE via craigslist. Tip from Andy L.
The first generation Mercury Capri (1970-1978) was a European (Ford of Germany) built 2+2 that was sold through Lincoln-Mercury dealers in North America. It was a strange way to buy a European built pony car, but buyers purchased a half a million during the production until it was replaced with a re-badged Mustang for 1979. Today, a used Capri offers a surprisingly cheap alternative to some with a German badge and great bang for your buck. 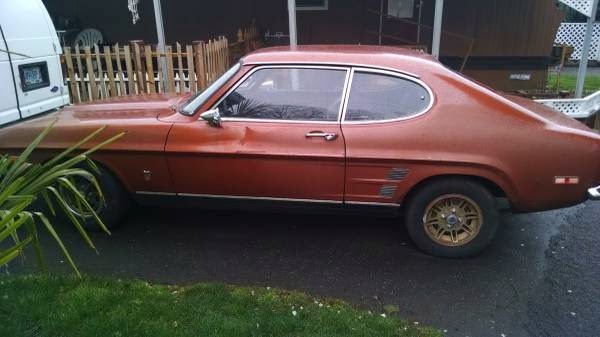 Find this 1973 Mercury Capri offered for $1,500 near Portland, OR. Tip from Oldsmobuick. The Ford Model T was the original hot rod. It was cheap, ubiquitous, and easy to modify -- the perfect recipe for building something for custom. Ford revolutionized the automotive industry with the Model T and built 15 million of these little machines from 1908 through 1927, so there are quite a few still running around. Find this 1922 Ford Model T Speedster offered for $10,900 in Monroe, WA via craigslist. Tip from Jesse B. When the N54 powered E90 generation BMW 335i was released in 2007, I said to myself: "Self, you are going to buy one of these cars when they get cheaper." Around 2010 prices for '07 models were looking good in the $20k range, but I thought they should drop a bit more before being seriously considered. But a weird thing happened, the plummeting prices stabilized and the 335i didn't drop much in price from 2011, 2012 or 2013. Only recently have you been able to get a 335i with manual transmission in the teens, but the E46 M3 has been a better buy all things considered (speed, exclusivity, limited slip diff, MMMMMM badging. etc) especially when you look at used prices of a E46 328i. Finally, in the past year or so, I've seen E90 335i start the inevitable plunge toward appropriately cheap prices. And it's about damn time. Find this 2008 BMW 335i 6-speed here on eBay currently bidding for $6,300 with 2 days to go, located in Thomaston, CT.
You won't find many "barn finds" on this site, because barns are stinky places filled with chickens, horses, and spiders -- but that doesn't mean we don't enjoy a good cheap project that just needs a fluid change and good bath. However, it better have a decent manual gearbox and be free from the dirty mitts of customizers -- like this 1972 Datsun 240Z offered for $8,000 in Smithton, IL via craigslist.